After many years in the management of learning and development activities in a fast-moving commercial environment, Lesley has been a sole operator since 2005. She has experience of coaching managers, on an individual basis, from many nationalities in industry as well as public and charitable organisations. She was a visiting lecturer in 2008 and 2009 at the University of Wolverhampton Business School, having gained their MA in Coaching & Mentoring in 2007. She has written and facilitated Institute of Leadership and Management (ILM) Levels 3, 5 & 7 Coaching and Mentoring modules. She is able to lead, or be part of a team, undertaking evidence-based research utilising the Critical Incident Technique. Although not a formally trained ‘Coach Supervisor’, Lesley has experience of ‘Mentoring the development of Coaching Skills’. Her own development is through personal reflection and reading plus active membership of the Association for Coaching and also personal ‘Coach supervision’. For the technically interested, her coaching style is eclectic, informed through those theories and approaches which have worked for her personally, all of which are rooted in evidence-based research into adult learning. The resulting approach is predominantly an application of GROW, Clean Language, Behavioural and Cognitive approaches, Psychosynthesis, NLP, Symbolic Modelling and Intelligent Emotions as outlined in Neuropsychology. She is a trained counsellor-advisor for the Bar-On EQi profiling system. Between 2006 and 2013 she was a member of the Independent Monitoring Board (IMB) at one of England’s eight High Security prisons and chairman for nearly three of those years. Lynne is a qualified Executive Business Coach and Psychometric Administrator with over twenty years experience gained within the Higher Education sector, where she designed, developed and delivered Corporate Programmes to public and private sector bodies, including in the UK, the National Health Service, the Royal Air Force and Local Government Authorities and both in the UK and internationally, Police Forces. She is skilled at assessing business needs and designing bespoke courses, whether accredited or non accredited, to achieve clients’ business goals and ensure return on investment. She holds an LLB(Hons) and an MA in Criminology and is British Psychological Society trained at Level A & B. She also is a Myers Briggs Type Indicator (MBTI) Practitioner and an active member of the European Mentoring and Coaching Council (EMCC). Her coaching style is person-centred and takes a strengths based approach with coachees. She uses a positive psychological approach to coaching aimed at behavioural and cognitive changes in personal development. 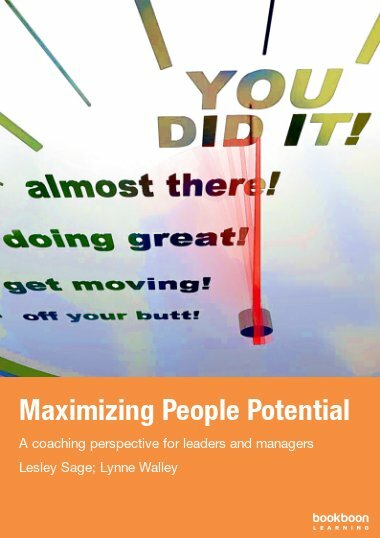 Her facilitation strengths lie in engaging leaders with people focused topics e.g. personality traits, coaching skills, leadership styles, change and transition. She is also particularly interested in ethics and value driven behaviours and how they impact on the workplace.